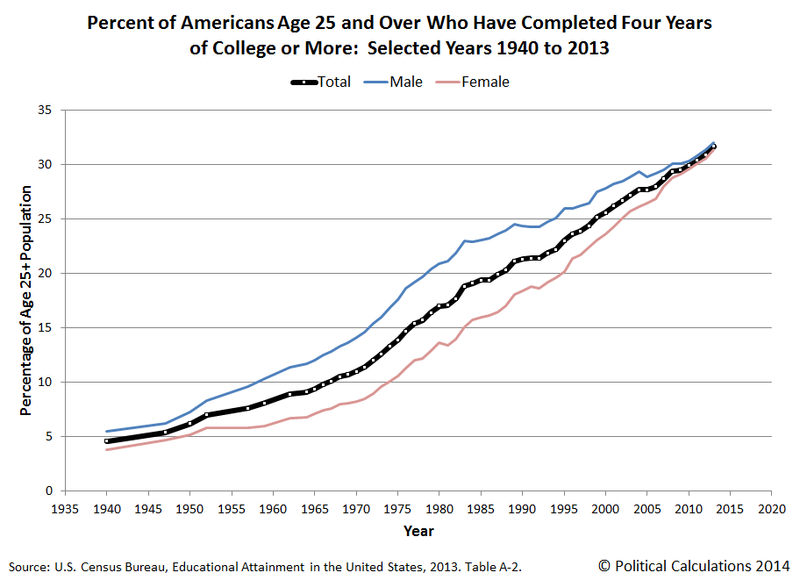 We observe that there are approximately six times the percentage of Americans who have completed at least four years of college in 2013 than there were in 1940. 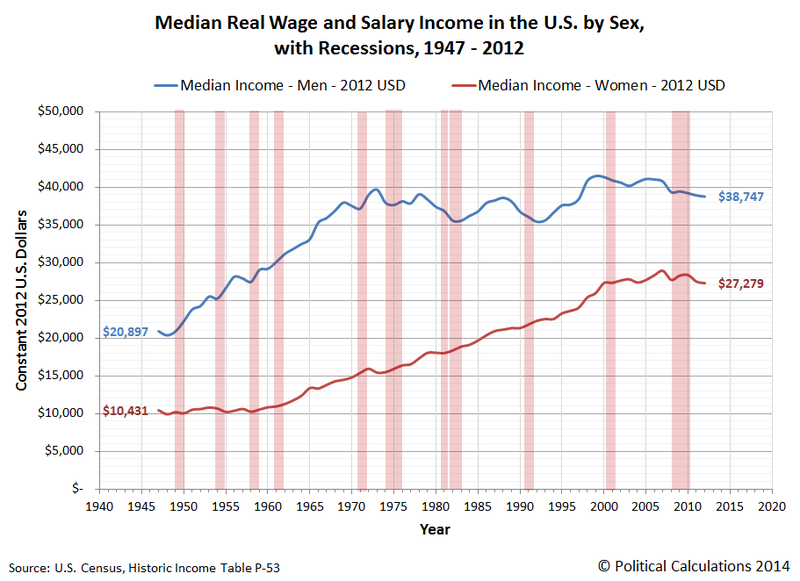 In this chart, after adjusting for inflation, we see that the median wage and salary income (Excel Spreadsheet) for U.S. men has risen to be about 1.85 times what it was in 1947, while the median income for U.S. women has risen to be over 2.6 times what it was in 1947, when the majority of women did not earn any wage or salary income. But we also see that in real terms, the median wage or salary earned by American men has stagnated since the early 1970s, even though the percentage of the adult male population in the U.S. who have completed at least four years of college has doubled in that same period of time. Meanwhile, working American women have seen their incomes stagnate since 2000, even though the share of women Age 25 or older having attended at least four years of college has grown by 10% over that time. This outcome strongly suggests that there are real diminishing returns to higher education in the United States.